From what is written on the reverse, I believe this is the high school graduation photograph of Chester Ingalls Conn, Class of 1906 at Woburn, Massachusetts High School. 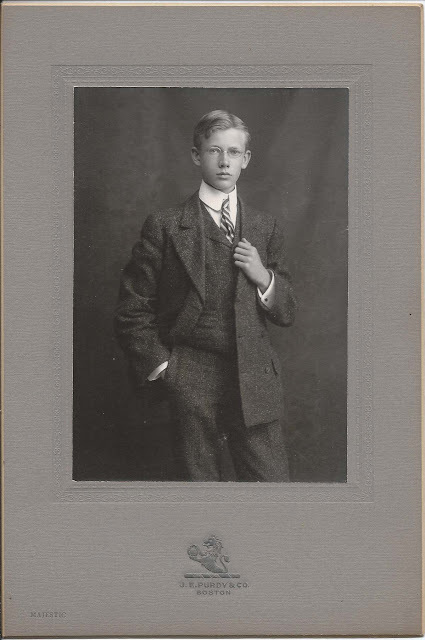 Chester Ingalls Conn was born 24 May 1890 at Woburn, Massachusetts, the son of Horace Nichols Conn and Marion I. 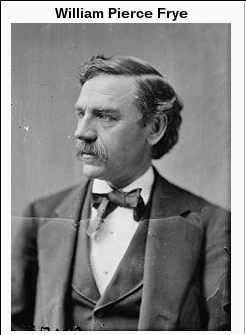 (Smith) Conn.
His paternal grandparents were George Henry Conn and Mary E. (Nichols) Conn. His maternal grandparents were Rufus and Susan A. (Ingalls) Smith. Chester graduated from Tufts University and at some point after 1910 and before 1920, moved to Portland, Oregon. 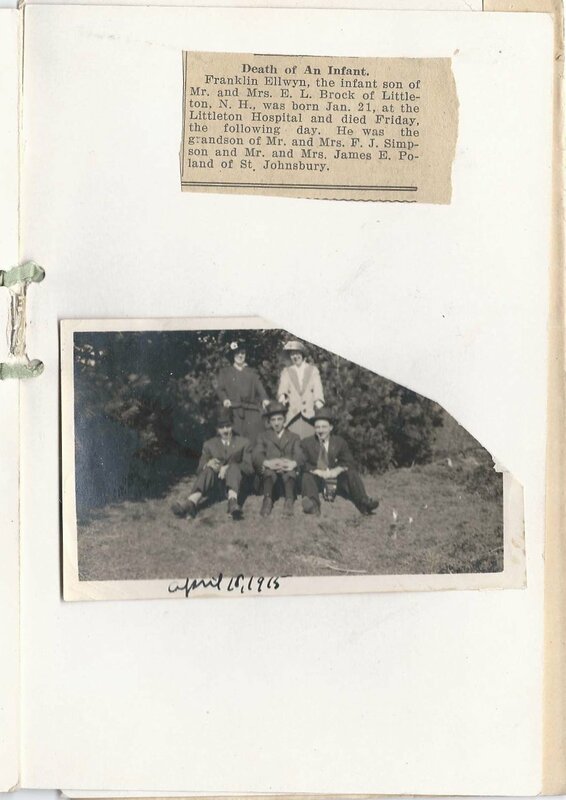 He's mentioned in a 1916 Tufts catalog as being principal at a school in Hobart, Washington. 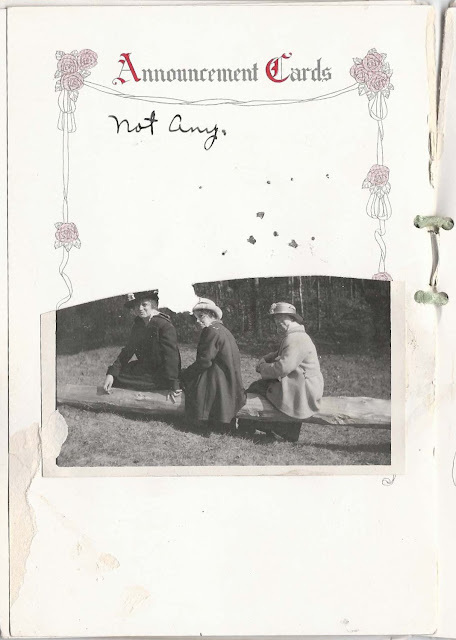 Perhaps his stint at Washington allowed him to meet Winogene Jane Jones, whom he married at Pierce, Washington in 1914. 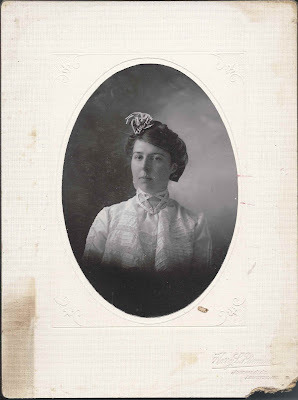 Winogene Jane (Jones) Conn was born about 1888 in North Dakota, the daughter of John Foulkes Jones and Mary Jane (Williams) Jones. Her family subsequently moved to Washington state. The 1920 Census found Chester and Winogene at Portland, Oregon, with two children and Chester's sister Ethel living in the household. Chester was working as an accountant. He had apparently found his calling, as he was still working as an accountant in the 1930 and 1940 Censuses of Portland, Oregon. 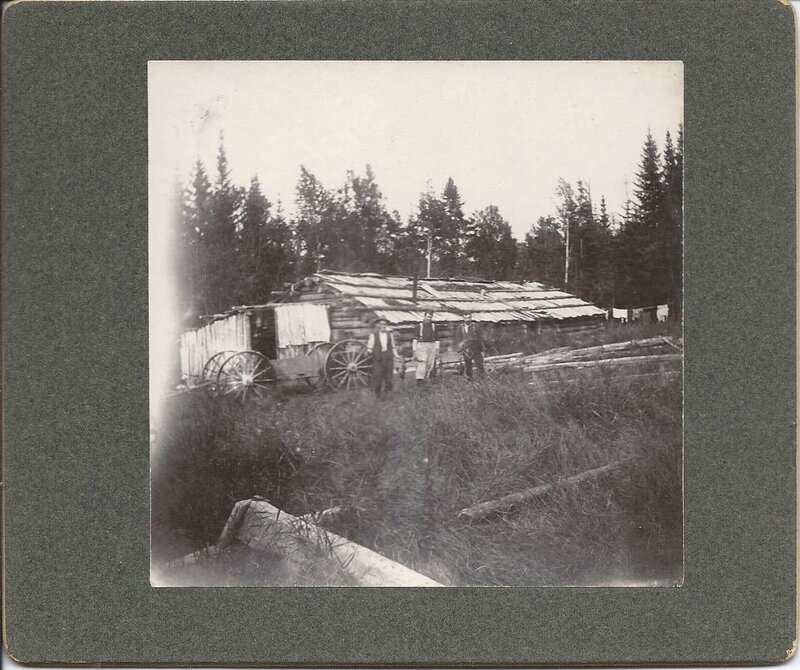 Early 1900s [I think] postcard showing a photograph of the "cottages" at Squirrel Island, off Boothbay, Maine. Some of the cottages are draped with bunting, so the photograph may have been taken on the Fourth of July. Squirrel Island is part of the town of Southport, Maine. 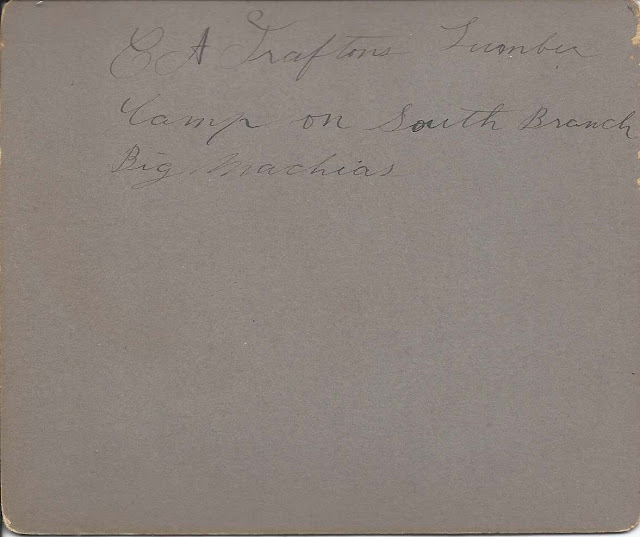 You'll find more information about Southport and Squirrel Island at the websites of the Hendricks Hill Museum and the Boothbay Region Historical Society. Squirrel Island, Maine, in Lincoln County [Zoom out one or two clicks to see Southport Island and the Boothbay Region. 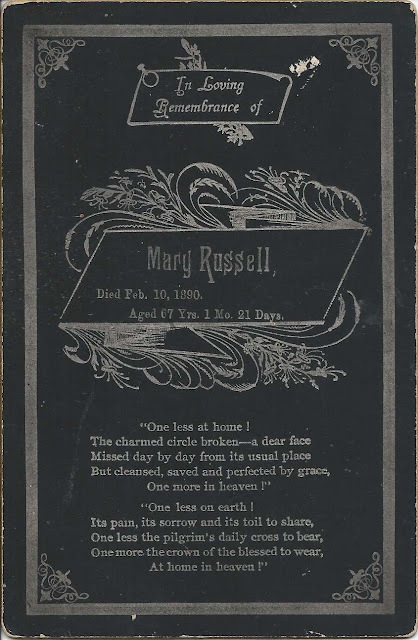 Memorial card printed upon the death of Mary Russell, who died 10 February 1890 at the age of 67 years, 1 month and 21 days. 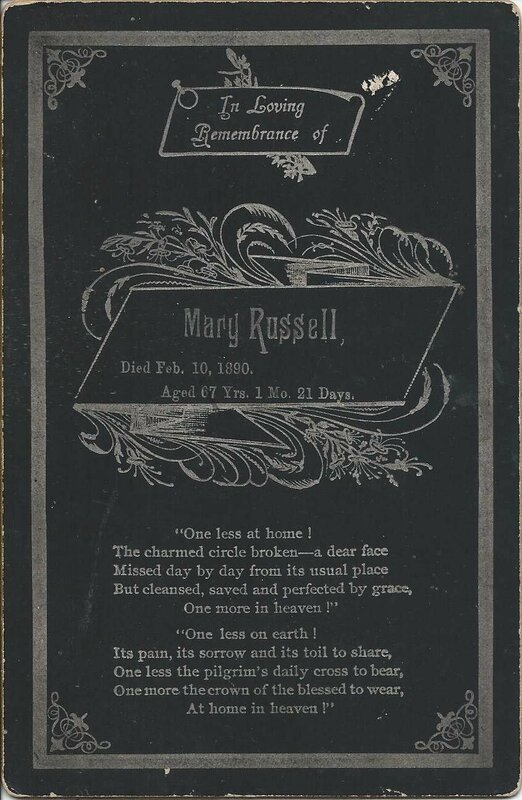 She would have been born about 20 December 1822. 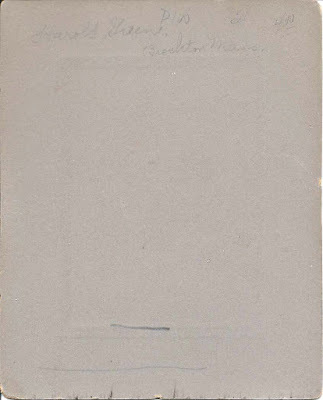 The reverse is blank, except for contemporary pricing data in pencil. 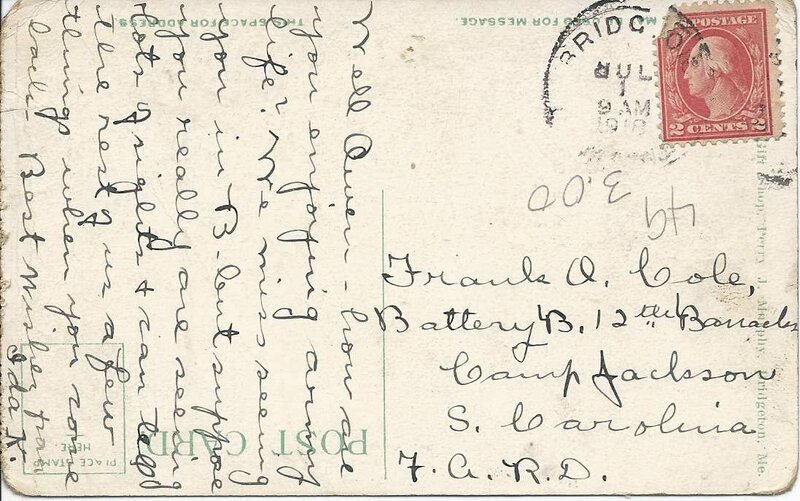 The card was purchased in Maine, which may be a clue - or, then again, a red herring. If you recognize Mary based on her birth and death dates, please leave a comment or contact me directly. Thanks! 1911 photograph of a baby identified on the reverse as "Alta Leah Lucas born 25 October 1911 near Minco, Okla.; photo taken Sept. 21, 1912 at Tuttle, Okla."
It was a shock to learn from a Find-a-Grave listing that this adorable baby died before she was two years old. 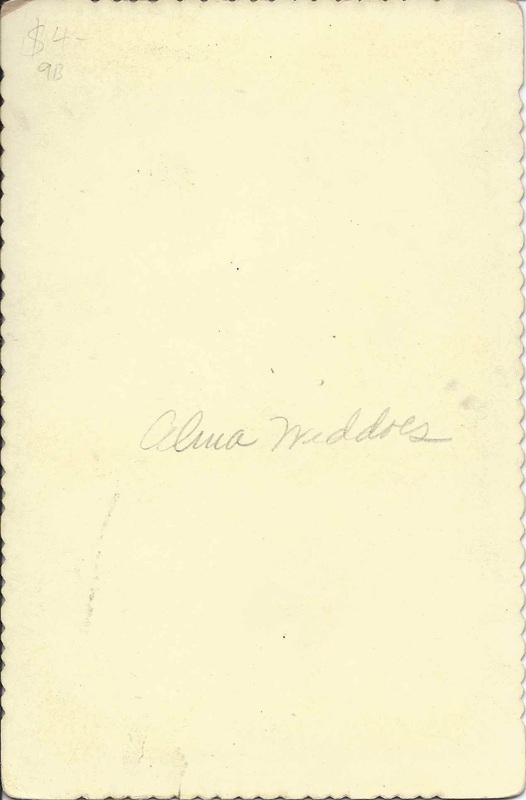 Alta Leah Lucas was born near Minco, Oklahoma, on 25 October 1911, the daughter of Thomas Ellsworth Lucas and Estella Anna (Sivils) Lucas, who were born in Ohio and Missouri, respectively. 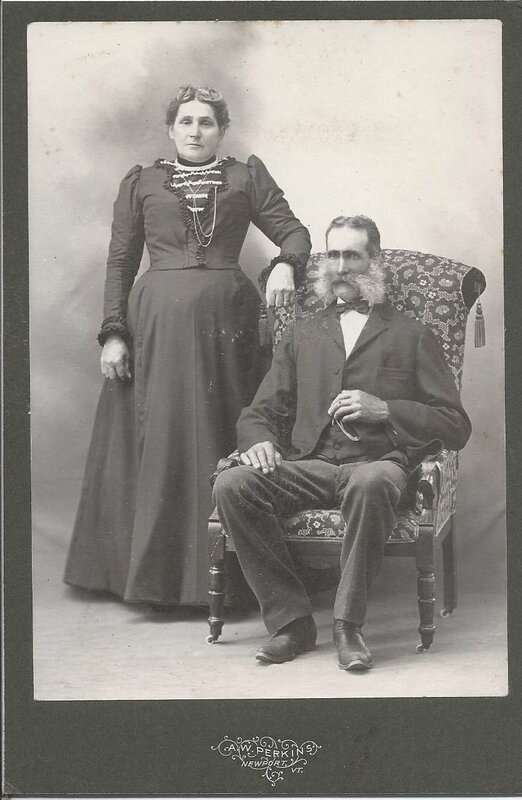 Alta's paternal grandparents were John and Catherine (Wolf) Lucas. 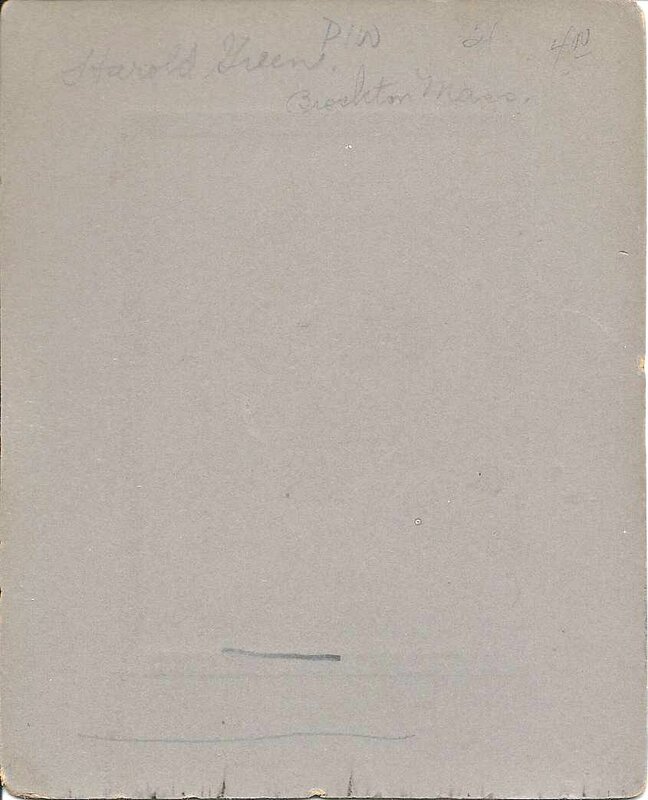 Her maternal grandparents were George Thomas Sivils and Mary Selma (Carlton) Sivils. 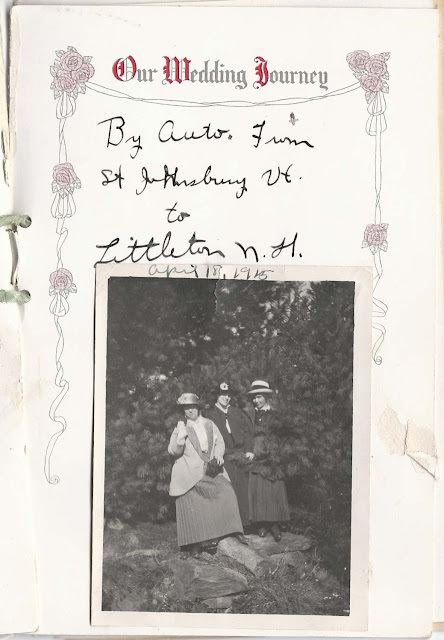 Alta had four sisters: Mary; Edna Lucille; Virginia; and Myrtle May. 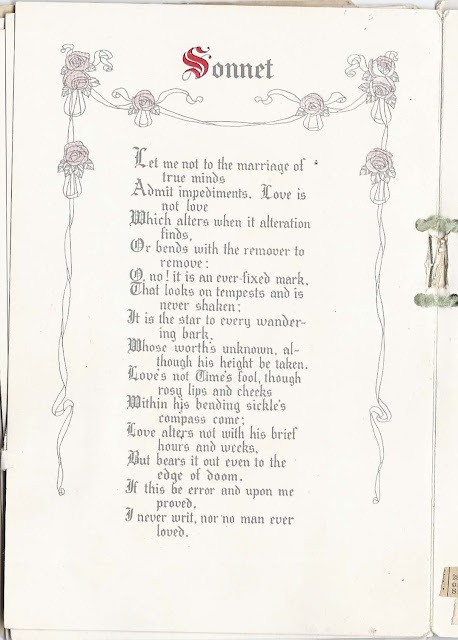 Alta died 7 June 1913. 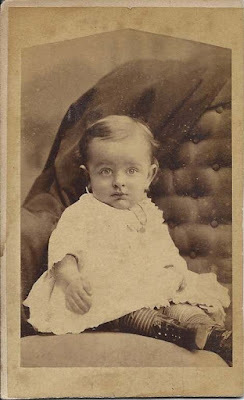 1879 carte de visite of a baby identified on the reverse as Harry Warner. 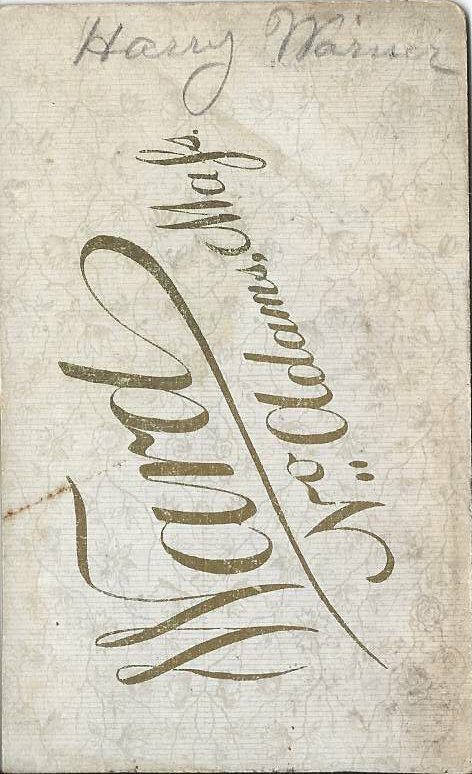 The CDV was produced by the Ward studio of North Adams, Massachusetts. 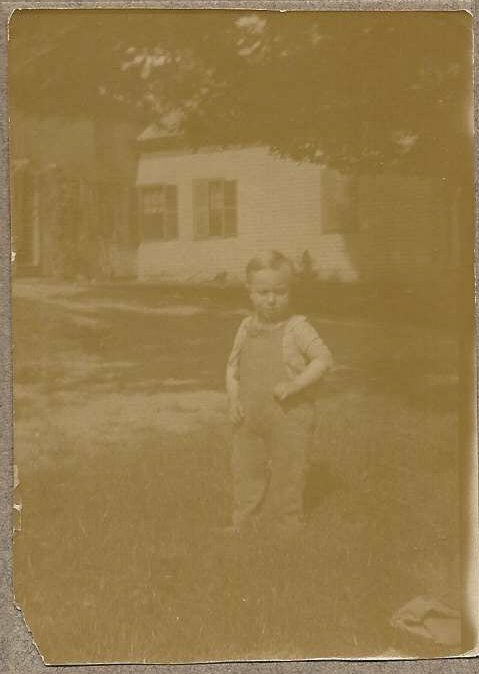 Harry Orville Warner was born 31 May 1879 at North Adams, Massachusetts, the son of Staples J. and Alice E. (Brusie) Warner, who were born at Great Barrington, Massachusetts, and Alford, Massachusetts, respectively. 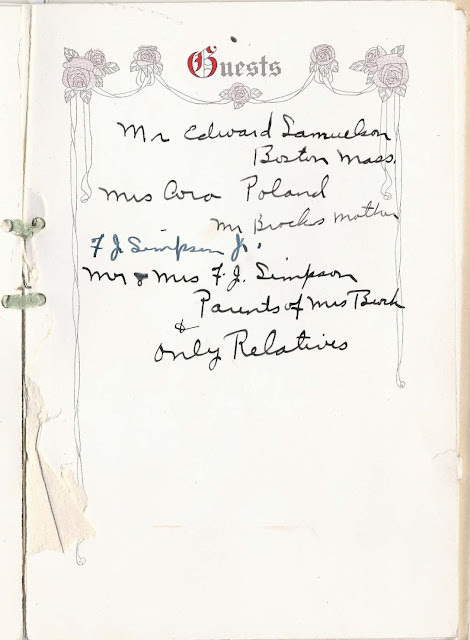 Harry's paternal grandparents were Erastus and Sarah F. (Staples) Warner. His maternal grandparents were Orville J. and Catherine (Post) Brusie. On 1 May 1907 at Pittsfield, Massachusetts, Harry married Luella Catherine Middleton, daughter of James F. and Angelina Augusta (Garland) Middleton. 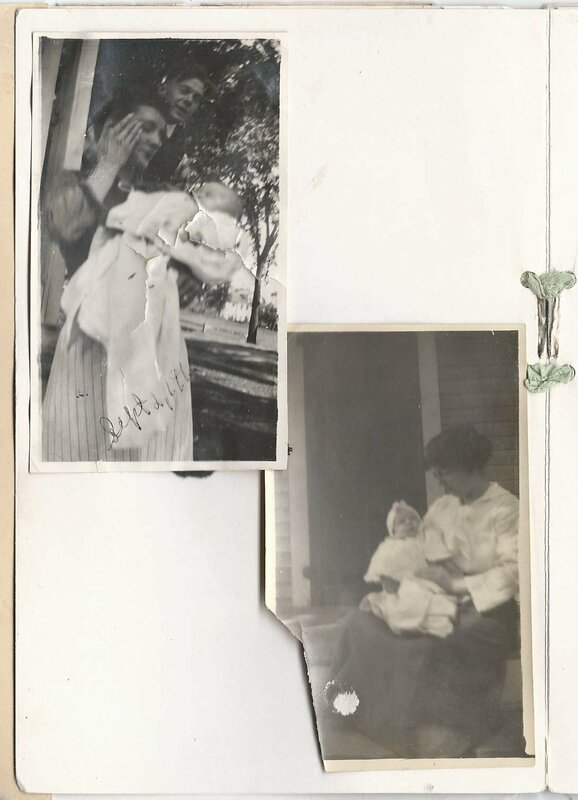 Luella was born in New Jersey about May 1884 (as indicated on the 1900 Census of Chicago, Illinois where she and her family were then living - her birth year could be off a year or so in either direction). By the time of the 1920 Census, Harry and Luella had moved to New York City. The 1930 Census has them listed at Buffalo, New York. Harry was involved in the paper industry, as a salesman and manager. I didn't see children living with them at the time of the Censuses I found, but they may have had children. 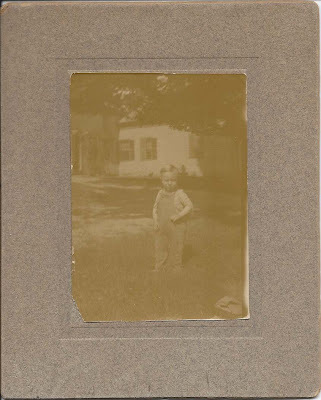 c1903 candid photograph of a young child identified on the reverse as Harold Green of Brockton, Massachusetts. 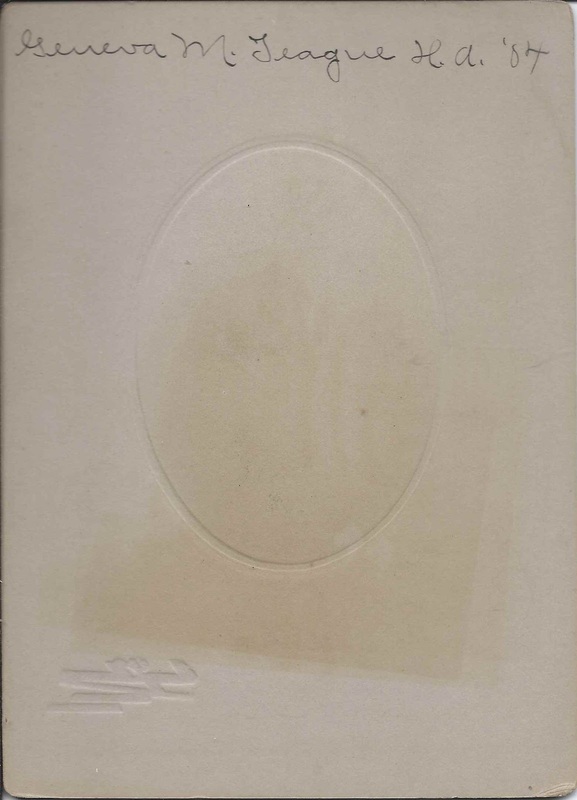 The photograph with its mat is approximately 5-1/4" x 4-1/4". 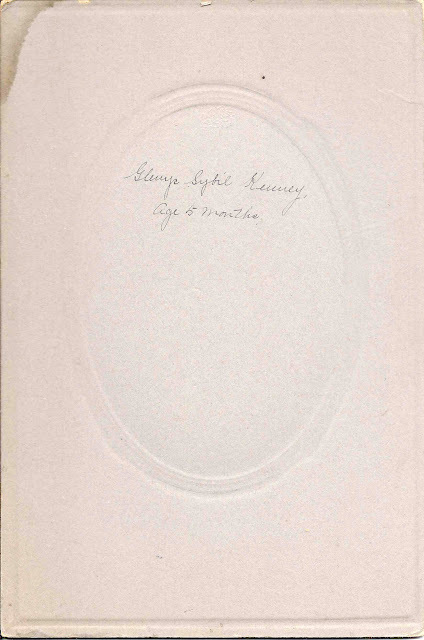 The photograph alone is approximately 3-1/4" x 2-1/4", as shown in the image below. 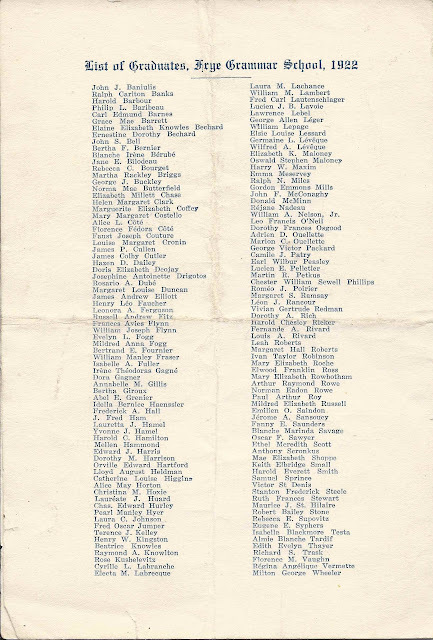 I found a Harold Green who was born May 11, 1900, the son of Charles F. and Edna M. (Pelkey/Pelkie/Pelletier) Green, who were born at Northborough, Massachusetts, and St. Georges-de-Clarenceville, Quebec, respectively. 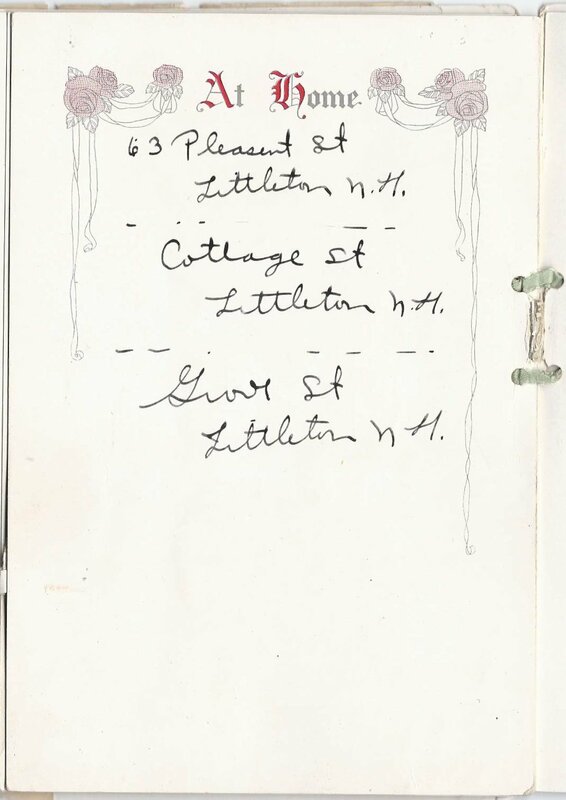 And there was a Harold Cecil Allen Green who was born November 28, 1906 at Brockton, Massachusetts, the son of Lorenzo D. Green and Gertrude M. (Allen) Green. If you have a theory as to the identity of the Harold Green in the photograph, please leave a comment or contact me directly. Thanks! 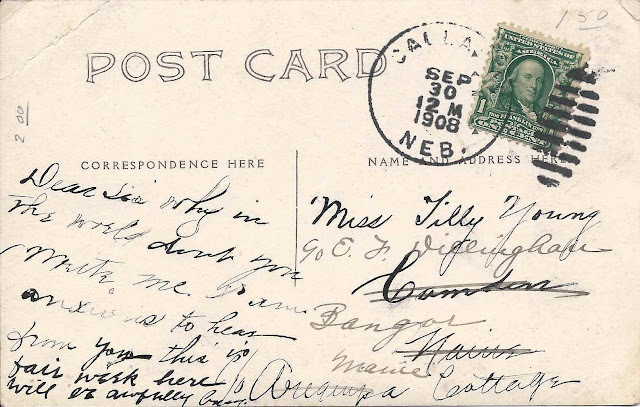 Real photo postcard mailed in 1908 from Nebraska [or possibly New Brunswick, though there's a US stamp on it] to "Sis" Tillie Young at Arequipa Cottage at Camden, Maine, and forwarded to Bangor, Maine, in care of E. F. Dillingham. Tillie may have had up to eight siblings, some of them sisters. 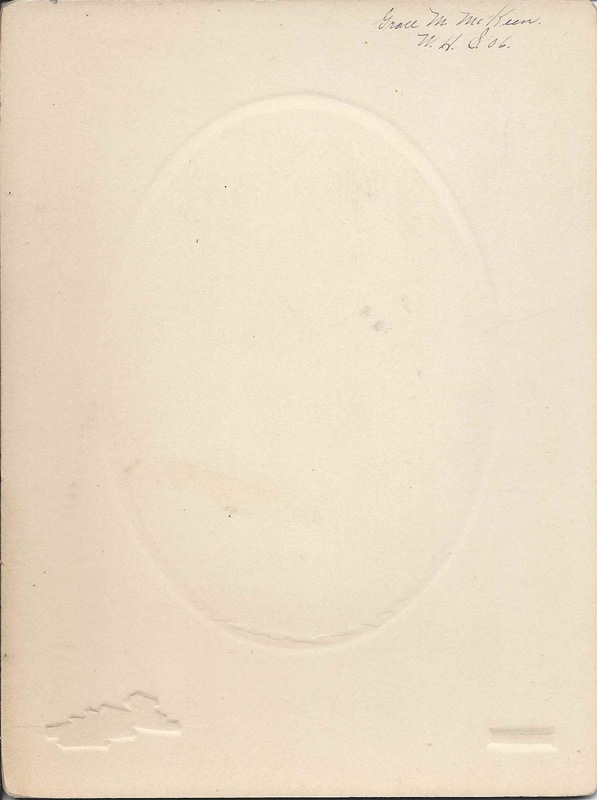 Because the photograph shows a woman, I'm assuming that the card was sent by one of her sisters, but I suppose it could have been sent by a brother. 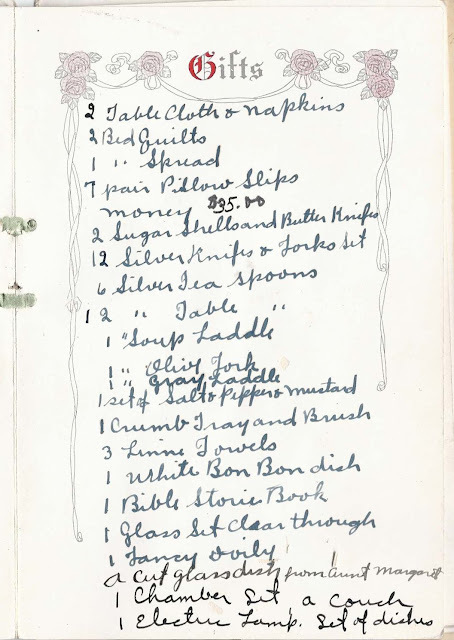 The 1910 Census of Bangor, Maine, shows a Matilda Young living as a servant in the household of Edwin F. and Julia Dillingham. 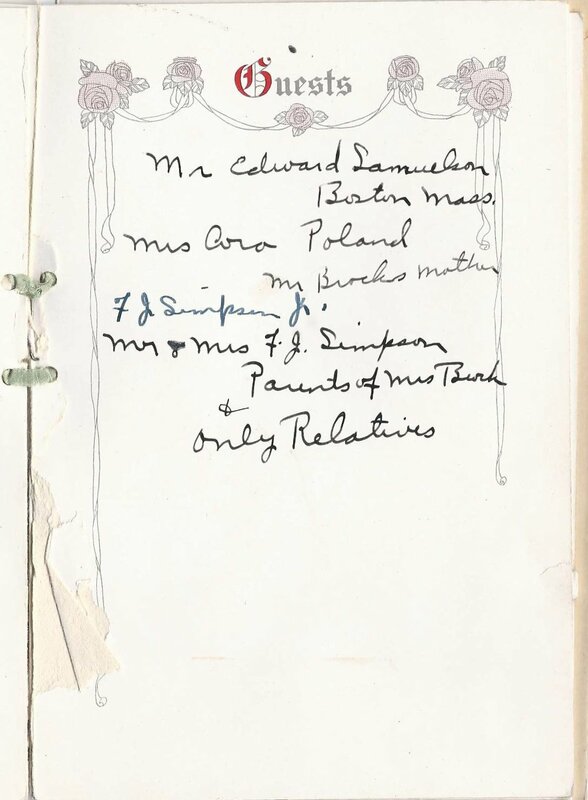 The Census indicates that Matilda was born in Canada and that her parents were born there as well. 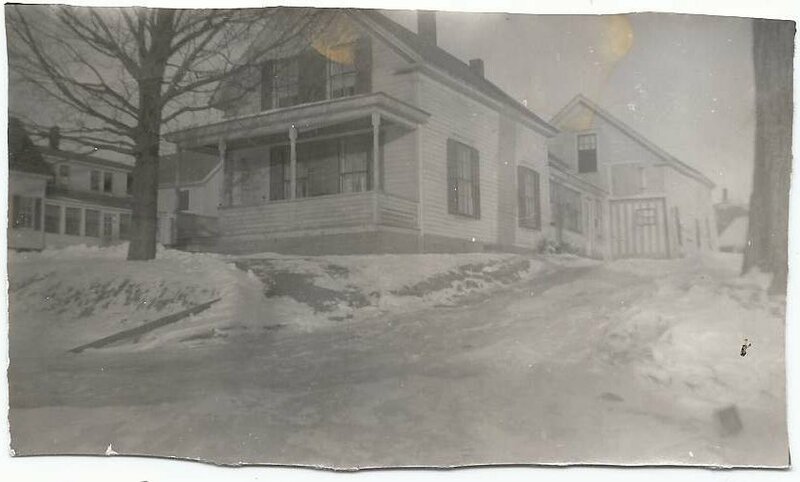 Incidentally, Arequipa Cottage was built for the Dillinghams on their property at Dillingham's Point (originally known as Ogier's Point) at Camden, Maine. 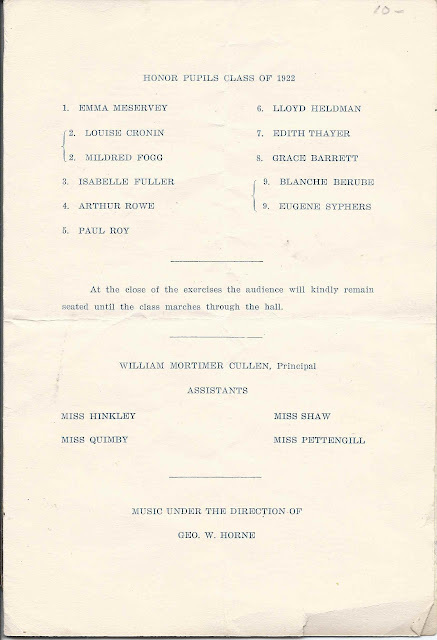 Perhaps Tillie was Alfreda Matilda Young, daughter of George Daniel Young and third wife Elizabeth Ann (Harnish) Young of Nova Scotia. 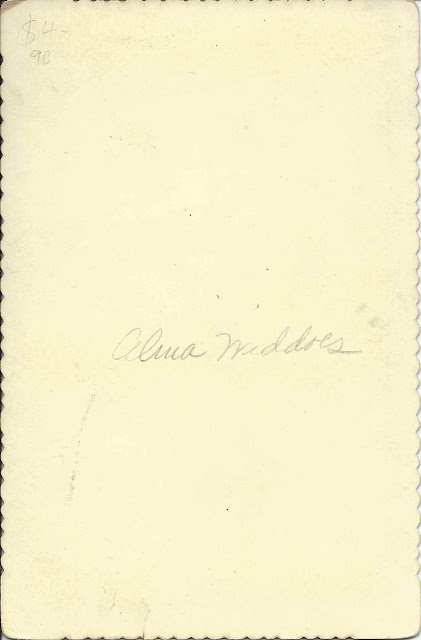 Alfreda Matilda Young married Horace Sawyer Leadbetter, son of Isaac and Jennie (Sawyer) Leadbetter of North Haven, Maine, on 26 December 1910 at Bangor, Maine. They were enumerated on the US Censuses of Camden, Maine, from 1920-1940. Horace was a fisherman and marine engineer. As an alternative, there was a Matilda C. Young at Camden, Maine, the daughter of Linneus and Catherine Young. Census records indicate she was born in Maine of parents born in Maine and Ohio. If you can clarify the identity of Tillie Young, please leave a comment or contact me directly. 1903 photograph of Lena A. Davis, taken by the Harry L. Plummer studio of Lewiston, Maine. The image above was enhanced to highlight the handwriting, although the initials at the extreme left are still obscure. My leaning, and that of a reader, is that they are E. L., representing Edward Little High School at Auburn, Maine. Lena Alice Davis was born 6 March 1886 at Auburn, Maine, the daughter of Freeman George Davis and Mary A. (Stanchfield) Davis. 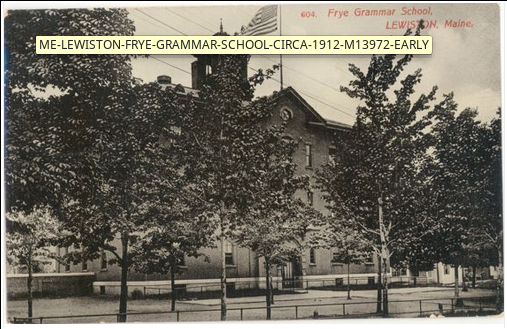 Freeman George Davis, who became a successful businessman in Auburn, Maine, was born 17 July 1865 at Sangerville, Maine, in Piscataquis County, son of George W. and Philena (Carle) Davis. Mary A. Stanchfield was born in October 1859, the daughter of Walter Frank Stanchfield and Eliza F. (Rice) Stanchfield. 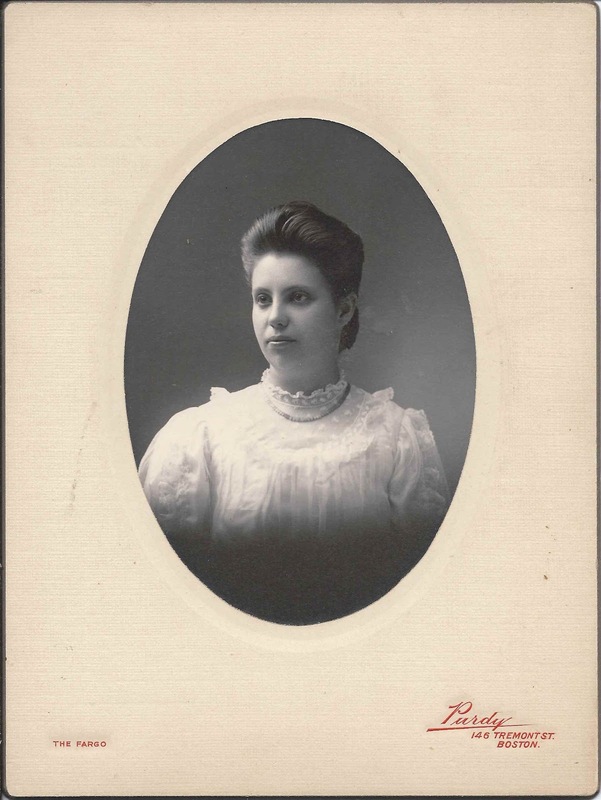 Her parents also had ties to Piscataquis County, Maine, and Auburn, Maine. 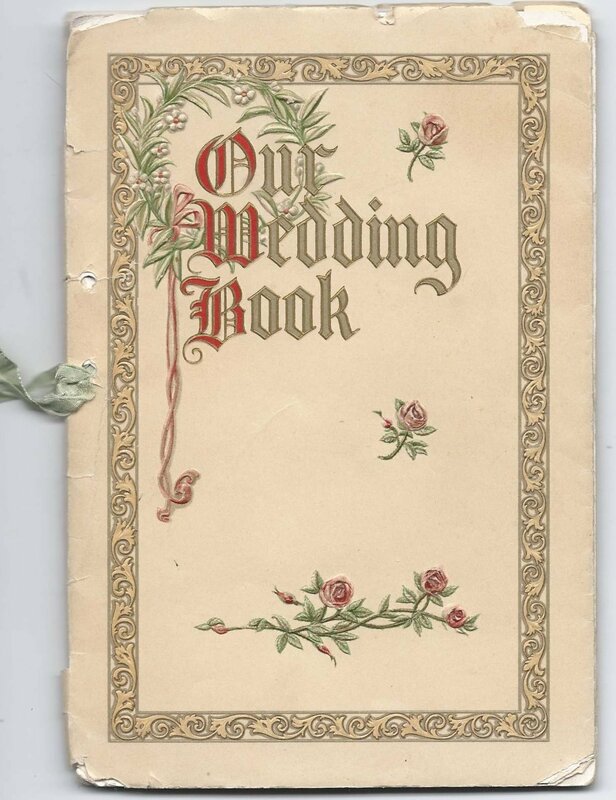 On 2 June 1906, Lena Alice Davis married John Harry Dailey, son of Thomas Jefferson Dailey and Martha Savage (Leavitt) Dailey. 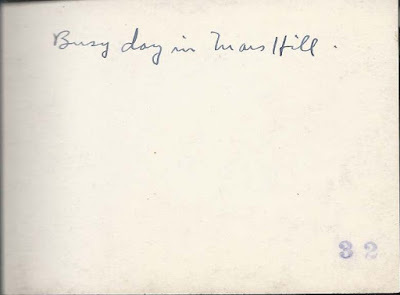 He was born 1 January 1872 in Maine. The couple had at least one child. They were living at Lewiston, Maine, as late as 1930. Photograph of a baby identified on the reverse as Glenys Sybil Kenney. 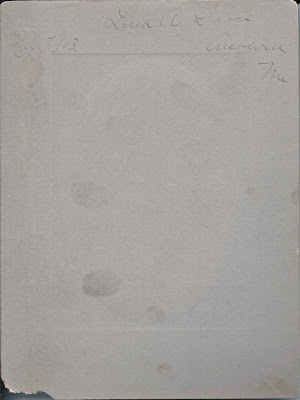 I can't quite make out the imprint of the photographer, other than the state, Maine. 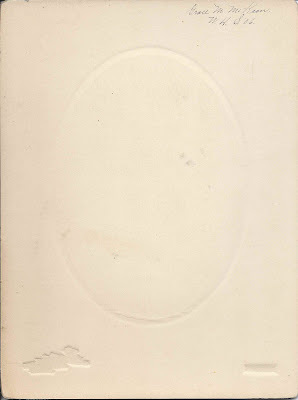 The image of the reverse, above, was tweaked to make the identification stand out. Glenys Sybil Kenney was born 1 October 1912 at Hallowell, Maine, the daughter of Charles M. and Lucy Jane (Dunaver) Kenney, who were born at Frankfort, Maine, and Prospect, Maine, respectively. 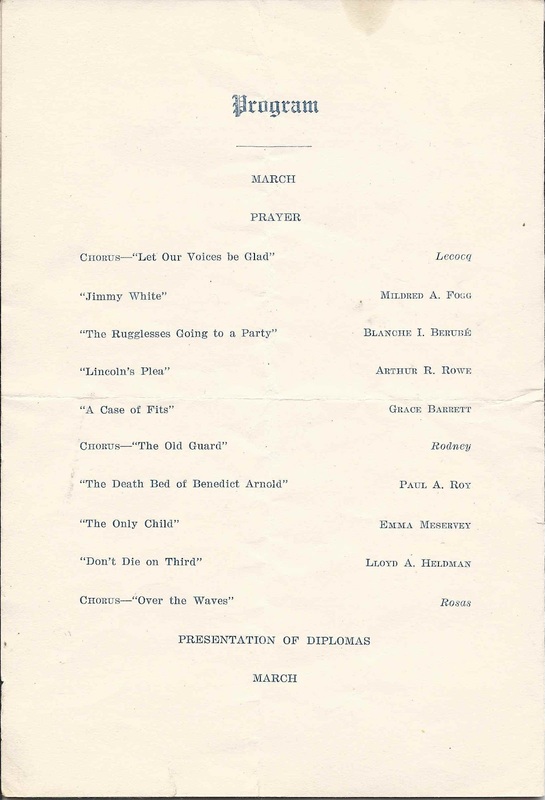 Her paternal grandparents were Rufus W. and Susan M. (Lane) Kenney. Her maternal grandparents were Daniel E. and Flora Jane (George) Dunaver. 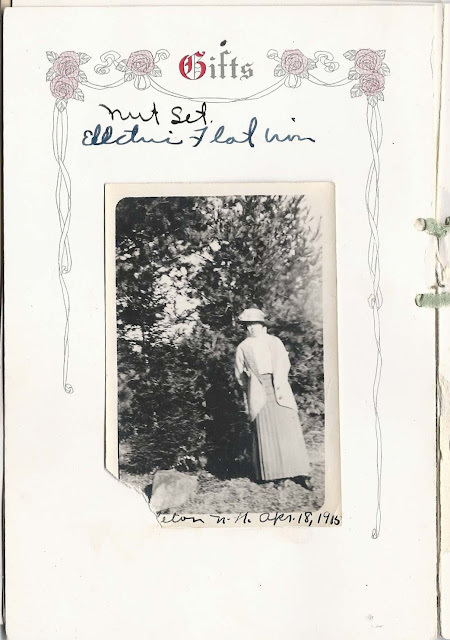 Growing up, she lived at Stockton Springs, Maine, and Farmington, Maine. She was married twice, I believe, and had at least two children. 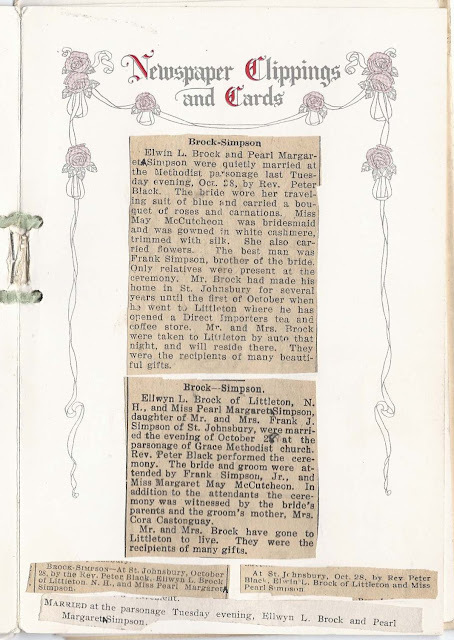 Her husbands were Kenneth J. Howard, born at East Wilton, Maine, and Harold Noah Dunaver, born at Stockton Springs, Maine. If you have corrections to the information above, please leave a comment or contact me directly. Please be careful when leaving a comment about a living person. 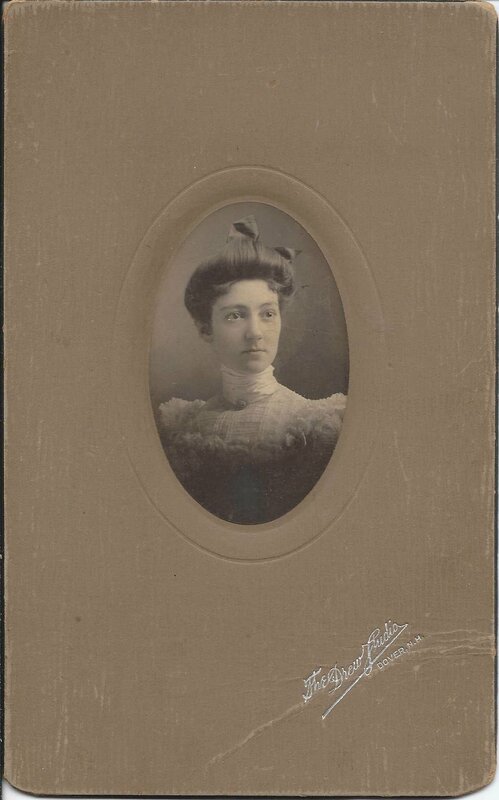 c1904 photograph of a young woman identified on the reverse as Geneva M. Teague. 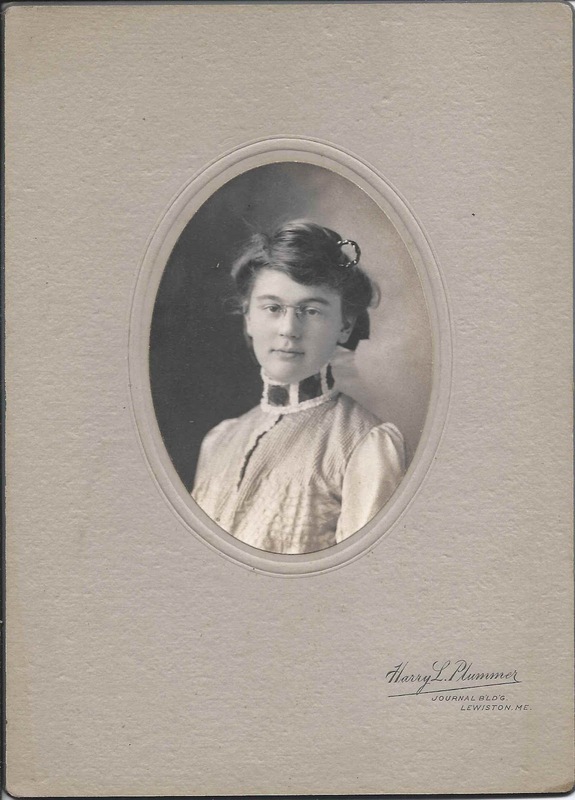 The photograph was taken by the Harry L. Plummer studio of Lewiston, Maine and appears to be a graduation photograph from H. A., which reader Ed discovered was Hebron Academy, at Hebron, Maine. 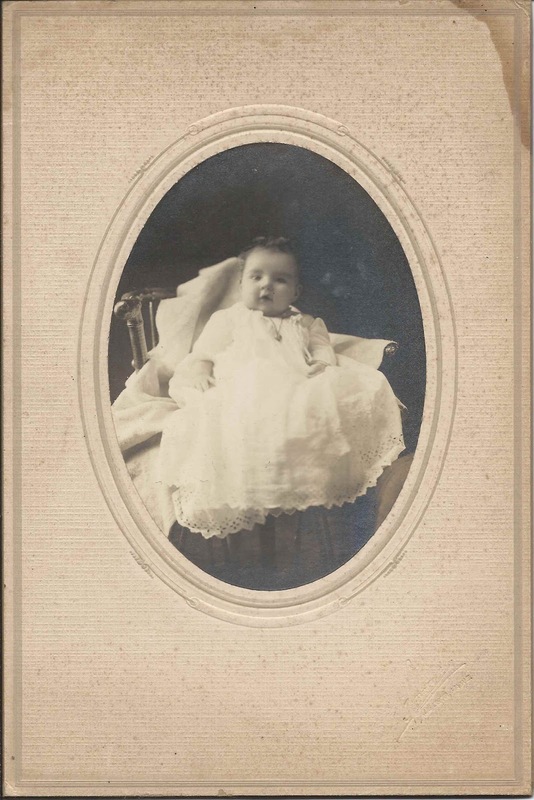 Geneva May Teague was born 23 Jun 1885 at Turner, Maine, the daughter of Herbert M. and Annie Lydia (Farrar) Teague, who were born at Turner, Maine, and, possibly, Paris, Maine, respectively. 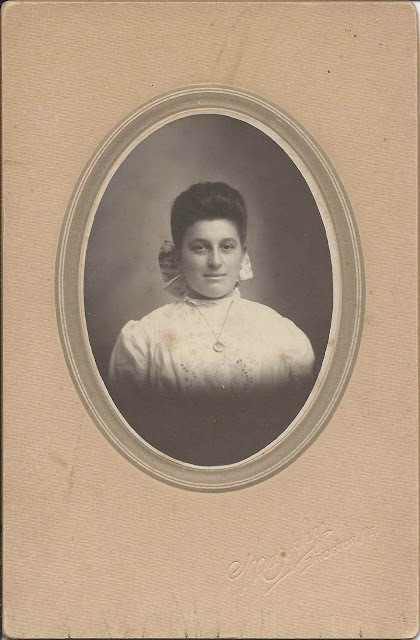 Her paternal grandparents were, I think, Richard and Betsey (Campbell) Teague, although Betsey would have been in her mid 40s when Herbert was born, so I worry that I missed an intervening generation. As far as I know, Betsey, or Vesta, was Richard's second wife. His first wife was Lydia Lombard, with whom he had a son Judah Dana Teague, born 1821. Judah was named after Richard's father. 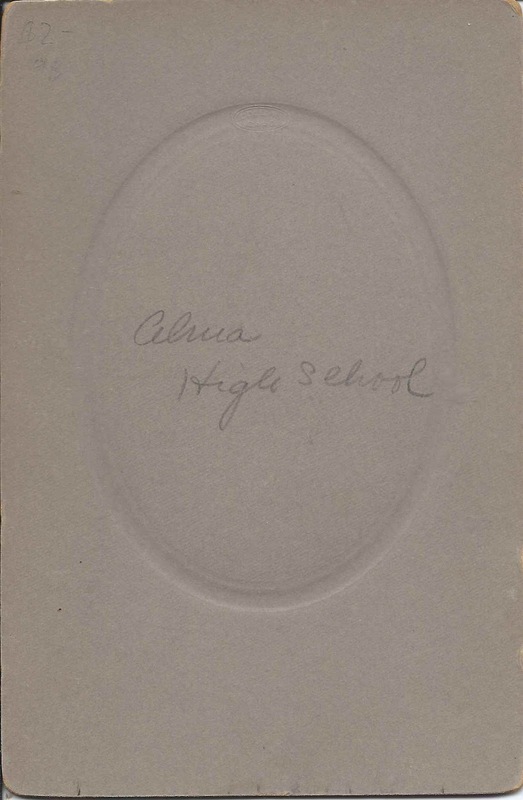 As the photograph indicates, Geneva May Teague graduated from Hebron Academy in 1904. 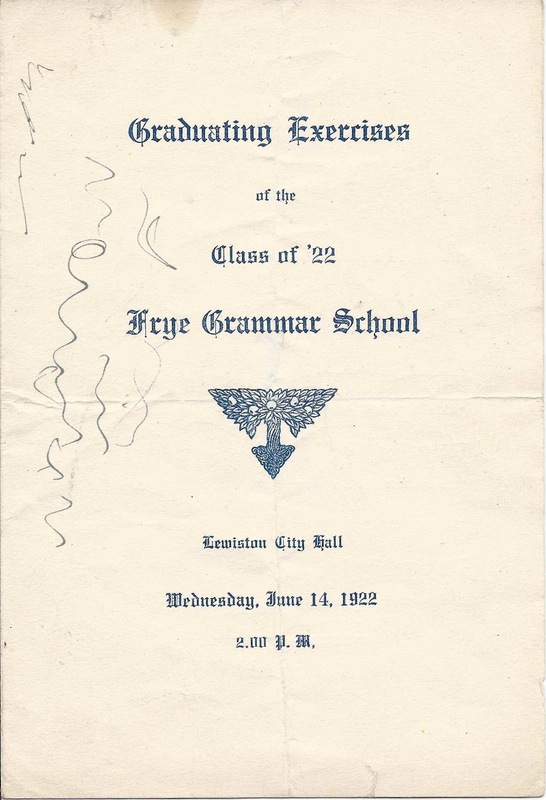 Reader Ed found an online image of a lengthy article in the Lewiston [Maine] Evening Journal about the commencement, which indicates that Geneva had the honor of giving the address to the undergraduates. An earlier blog post concerned one of Geneva's fellow graduates, the valedictorian Roscoe Henderson Hupper of Martinsville, a village in St. George, Maine. Roscoe went on to Bowdoin and George Washington Law School and became one of the foremost admiralty lawyers of his day. 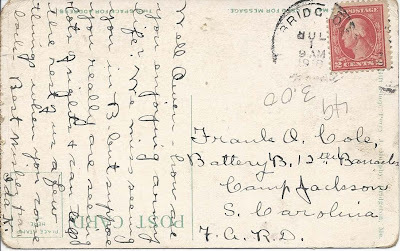 On 15 April 1908 at Madison, Maine, Geneva May Teague married Harry Clifford Dunbar, son of Charles F. and Olive (Durrell) Dunbar. 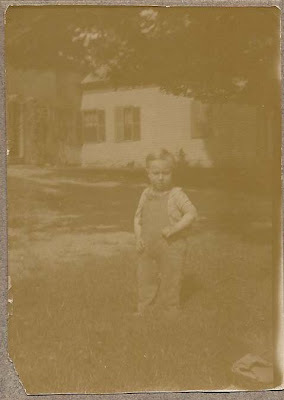 Harry was born 20 March 1881 at Embden, Maine. 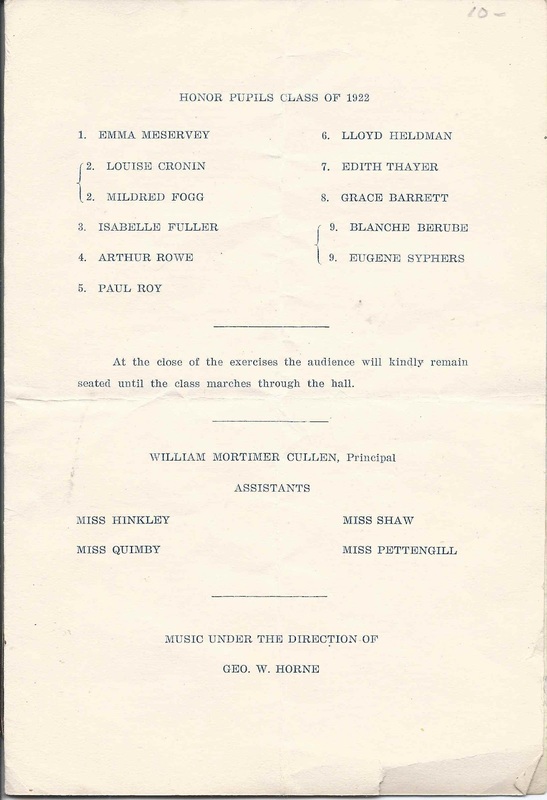 At the time of their marriage, Geneva was working as a stenographer at Madison, Maine, and Harry was an attorney at Boston, Massachusetts. 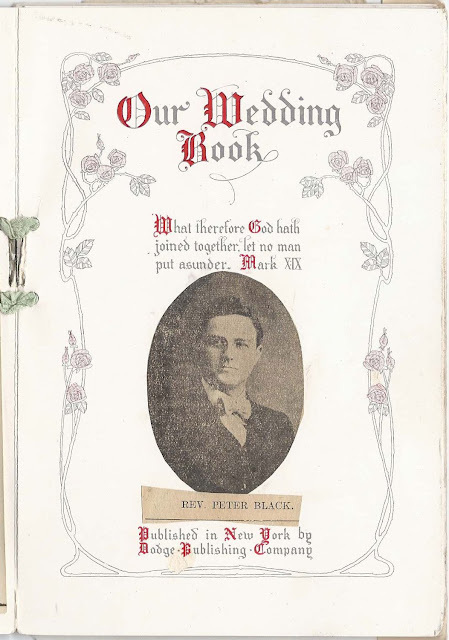 The couple raised at least one child, a daughter, in Massachusetts. If you have corrections and/or clarifications to the information above, please leave a comment or contact me directly. Thanks! 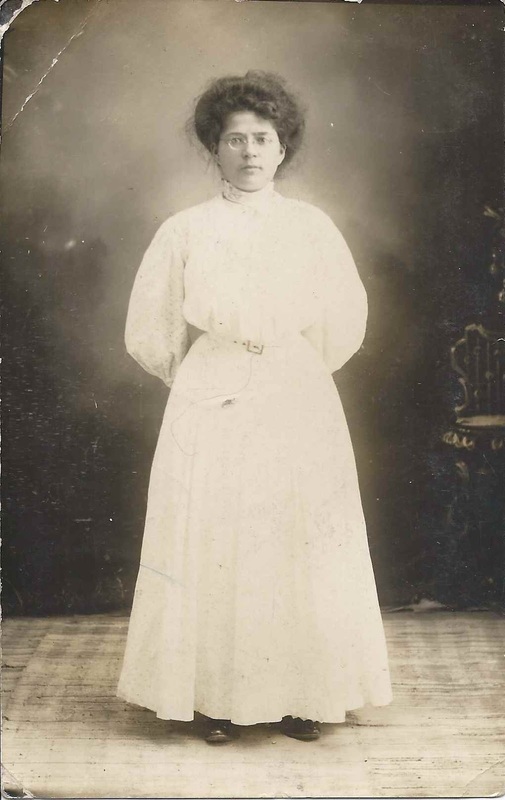 1906 Graduation Photograph of Grace Mae McKeen from Woburn High School, at Woburn, Massachusetts, taken by the Purdy studio of Boston, Massachusetts. 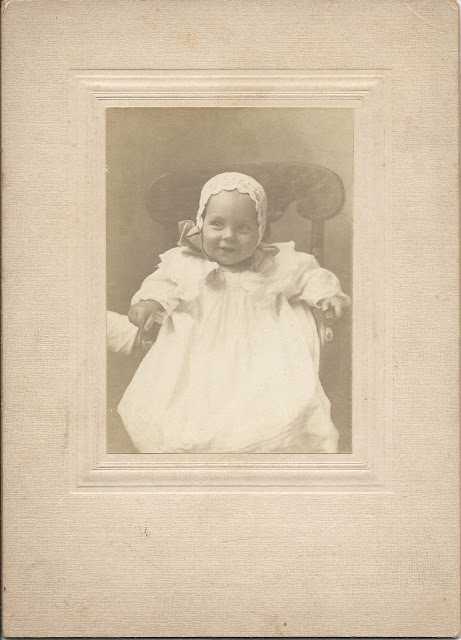 Grace Mae McKeen was born 21 May 1887 at Swanville, Maine, the daughter of Isaac Edwin McKeen and Flora Emma (Morrill) McKeen, who were themselves both born at Swanville. 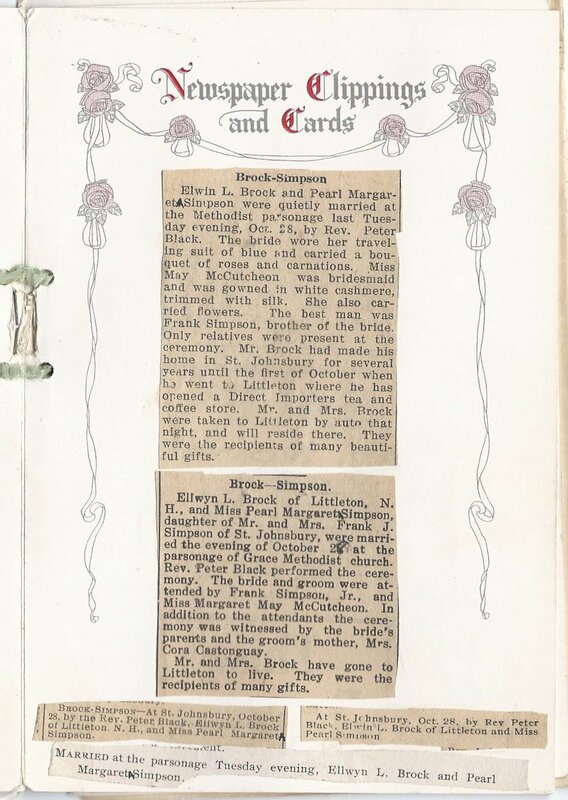 Grace's paternal grandparents were Ephraim and Sarah Jane (Nickerson) McKeen. 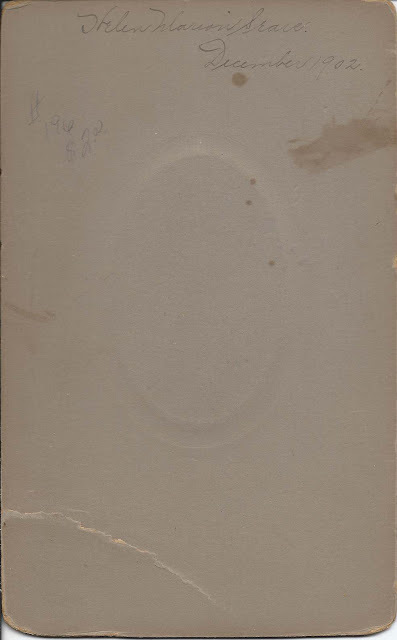 Her maternal grandparents were John Sawyer Morrill and Hannah (Bachelder) Morrill. 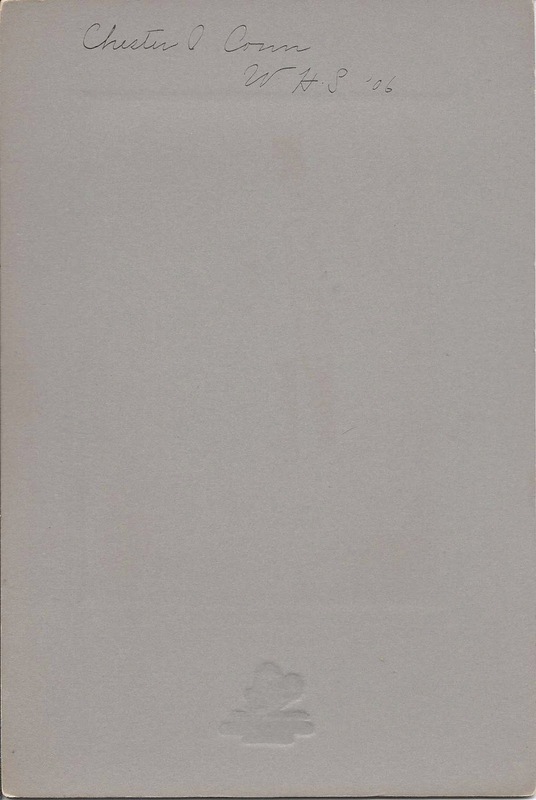 Grace, her brothers and widowed father were living at Woburn, Massachusetts, at the time of the enumeration of the 1900 and 1910 Censuses. 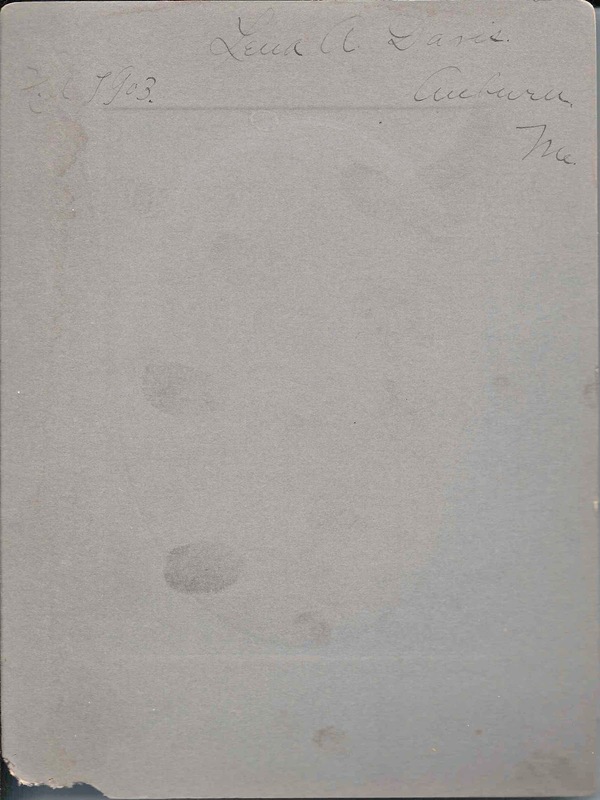 Her mother had died at Woburn on 6 October 1899. 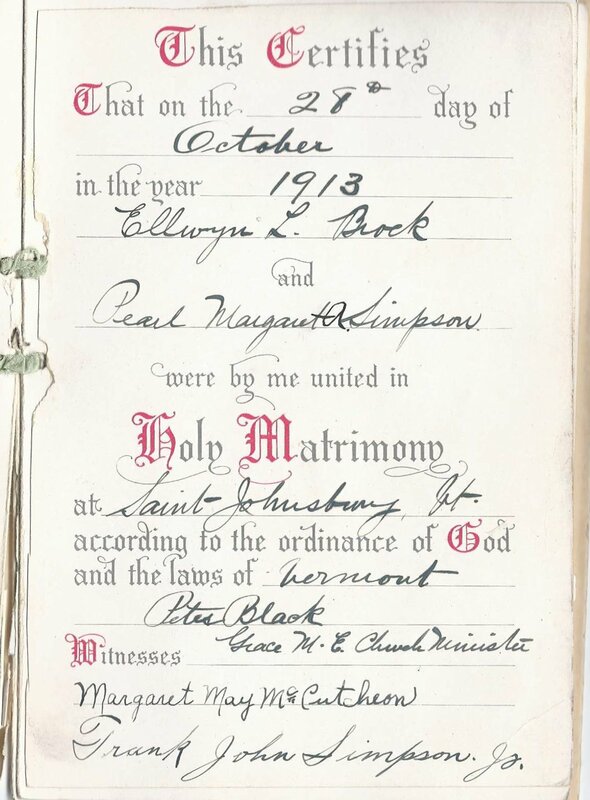 On 5 February 1913 at Swanville, Maine, Grace married Rufus James Mayo, son of Joseph Eldorus Mayo and Cora Eva (Hassell) Mayo. 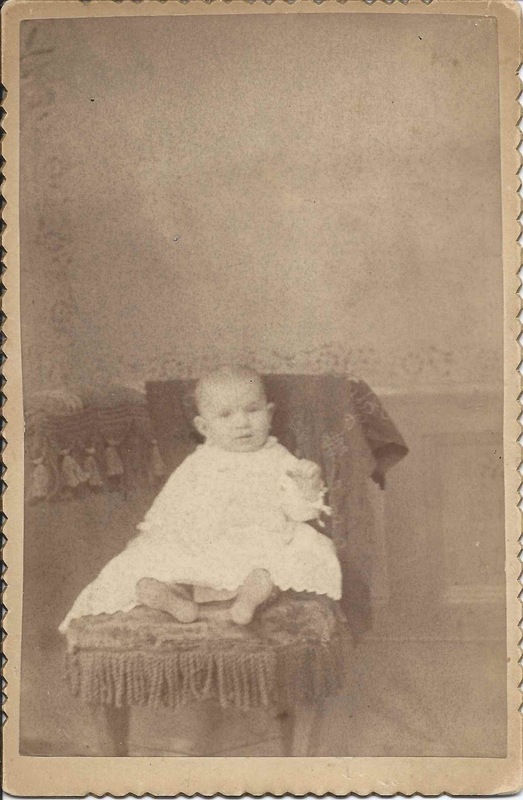 Rufus was born 2 May 1886 at Belfast, Maine. Rufus died in 1938. 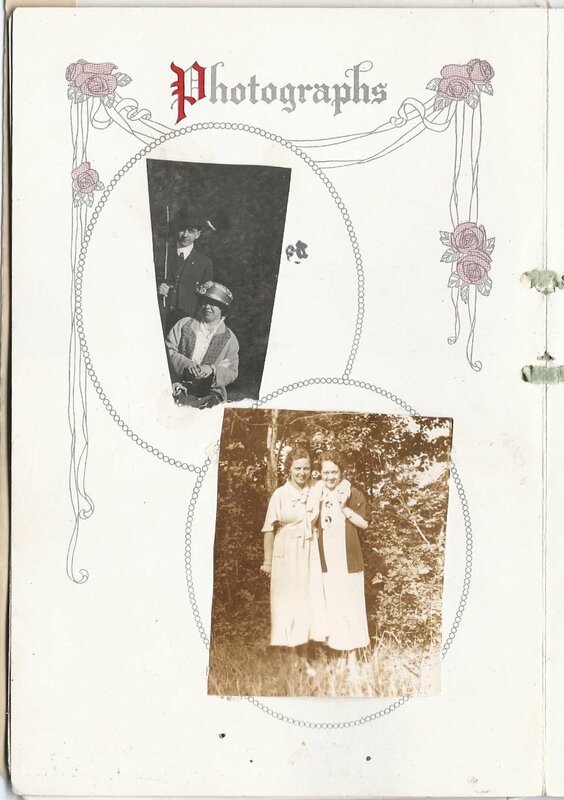 Grace and her daughter were still at Belfast, Maine, at the time of the 1940 Census, but at some point, perhaps due to the daughter's marriage, they made their way to Pennsylvania. Grace died there in 1977. 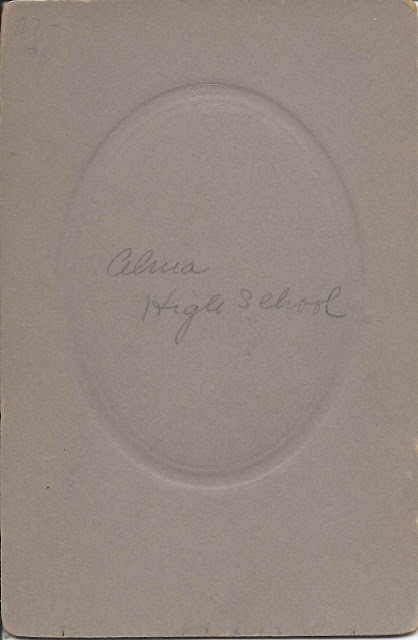 Photograph of a young woman identified on the reverse as Alma when in high school. 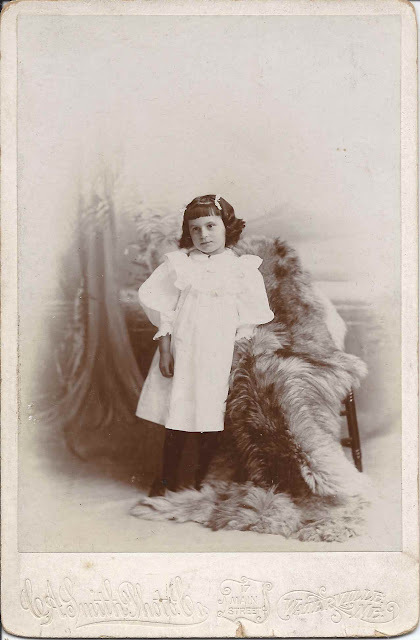 The photograph was found with two others of Alma, one when she was a baby and other when she was a young girl. 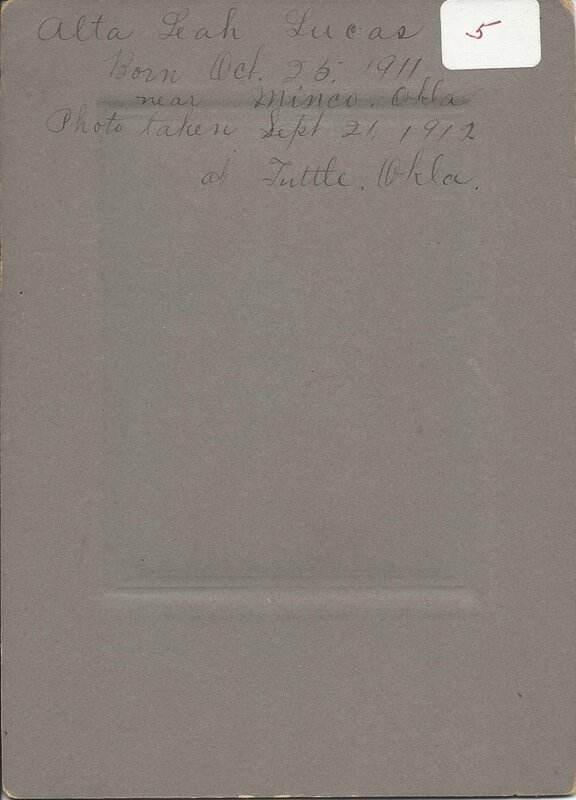 The other two photographs give her last name as Widdoes. 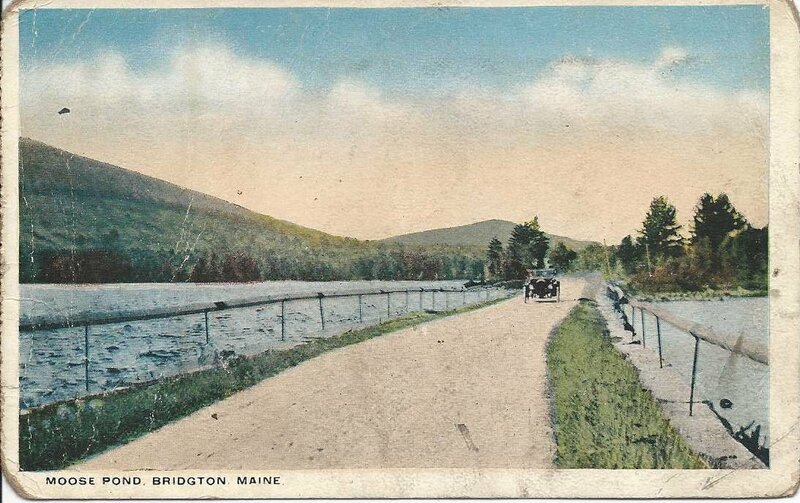 The photograph was taken by the Murphy Studio of Bridgton, Maine. 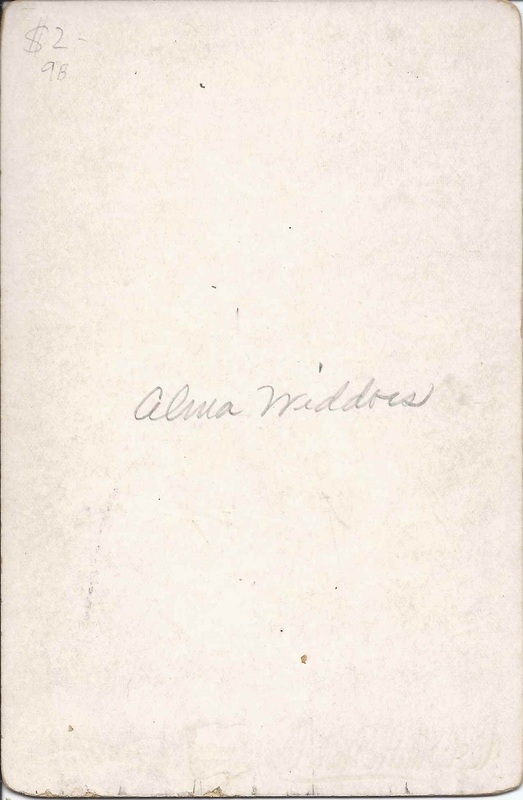 Alma P. Widdoes was born 21 May 1891 at Welchville, a village in the town of Oxford, Maine. Her parents were Seymour or Seymore J. Widdoes, born at Newark, Delaware, and Grace M. (Blake) Widdoes, born at Welchville. Alma's middle initial stood for Perice, Peirce or Pierce. I found references to all three variations. The photograph above of Alma as a baby has no photographer's imprint. 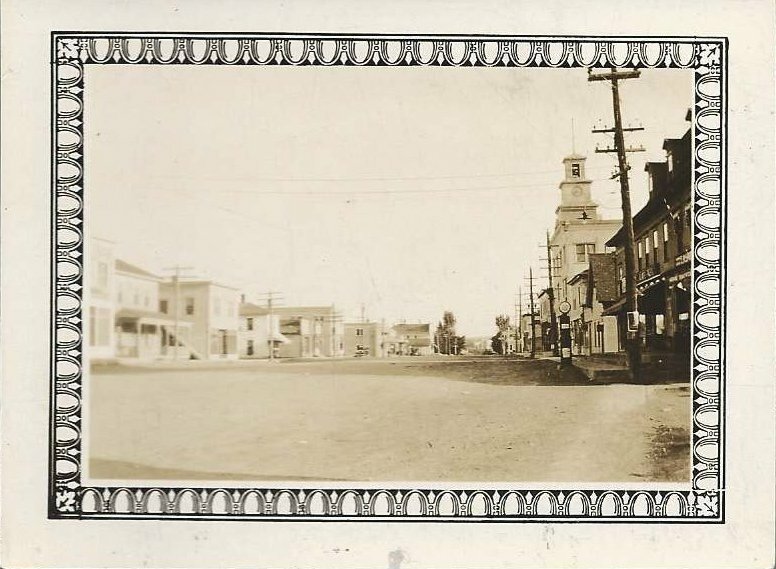 The photograph below was taken by the C. A. Smith studio of Waterville, Maine. 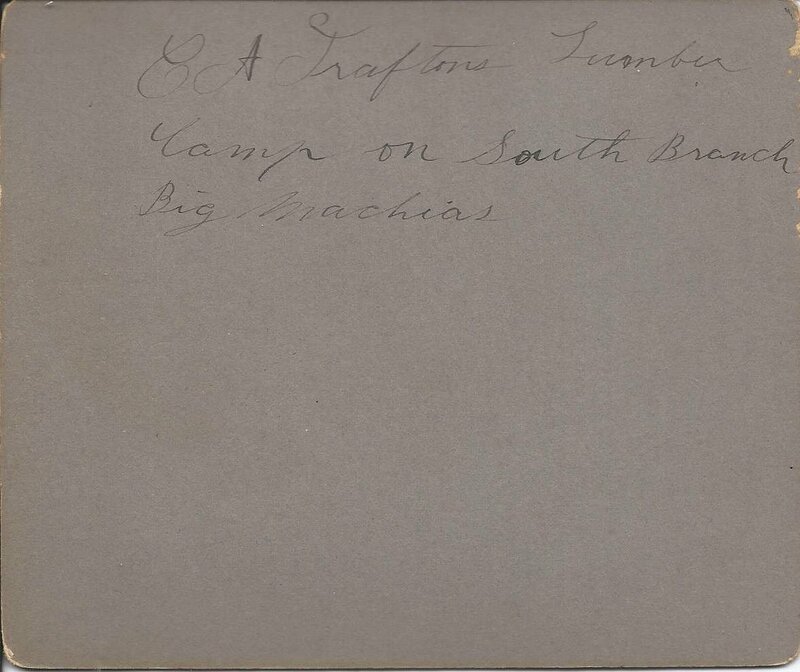 I wonder if the family was visiting relatives or if they lived in the Waterville area for a time. On 20 June 1913 at Auburn, Maine, Alma married Jesse Clayton Sanborn, son of Enoch Augustus Sanborn and Annie Elizabeth (Noble) Sanborn, who were natives of Biddeford, Maine. 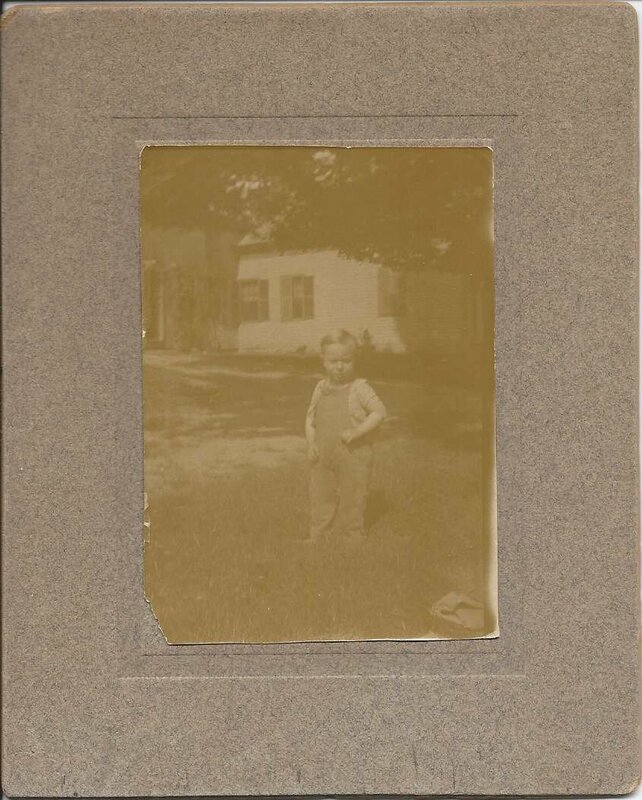 Jesse Clayton Sanborn was born 28 February 1889 at Steep Falls, Maine. I didn't notice any children living with Jesse Clayton Sanborn and Alma P. (Widdoes) Sanborn in the 1920 and 1930 Census enumerations. They worked for a telephone company. Jesse Clayton Sanborn lived until 1972. 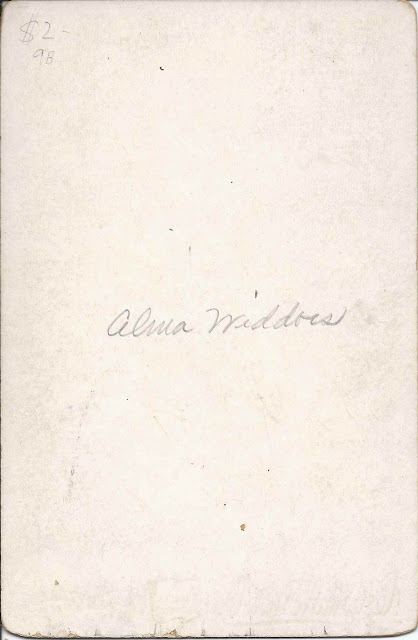 Alma died at some point between the 1930 and 1940. 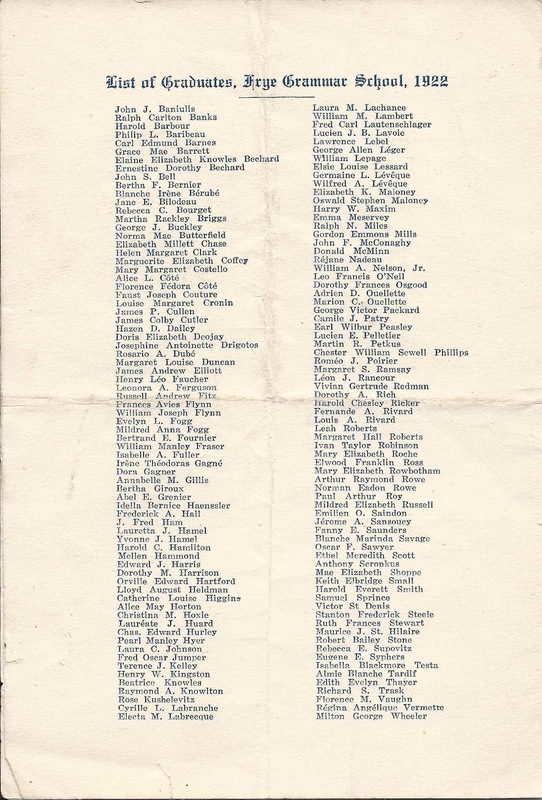 If you have information on the Widdoes, Blake, Sanborn and/or Noble families, please leave a comment or contact me directly. Thanks!